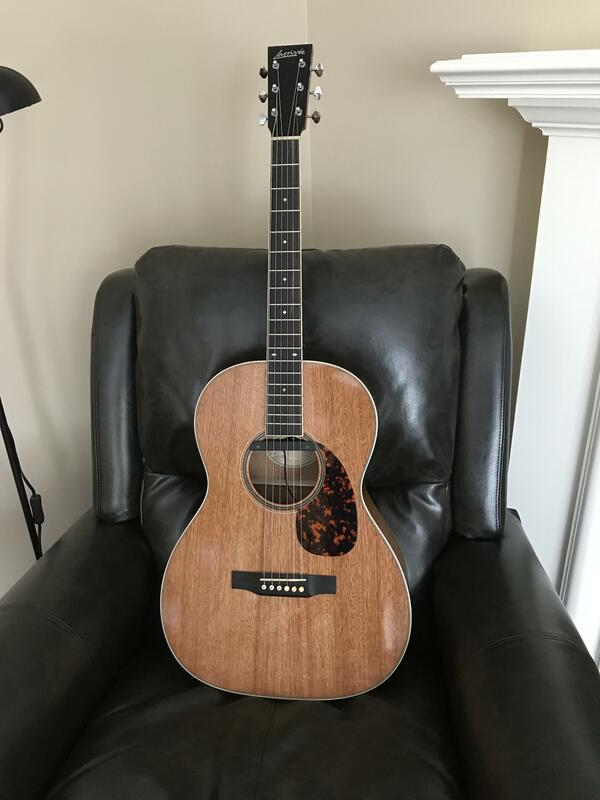 Here's a shot of my OOO40 mahogany top beauty. I polished it to a soft vintage gloss and installed a K&K pickup to replace the Fishman in the photo. Very sweet sound and great player. This is the large sound hole Legacy model. is this new or have you had it a while? I've had this one for about 6 months, Rockysdad. Really starting to open up. looks great and i bet it sounds better! This is so lovely! I would really love to hear how it sounds. Your Larrivee looks sweet,how did u polish it up? Yes I did, Dave. I really like the enhanced, more distinct grain pattern that occurs when a guitar is polished. This one has a soft vintage gloss, rather than a candy-like finish. Mahogany tops are my favorites. I don't own one yet. Maybe someday. You got a nice guitar. I'd love to hear the new K&K pickup.